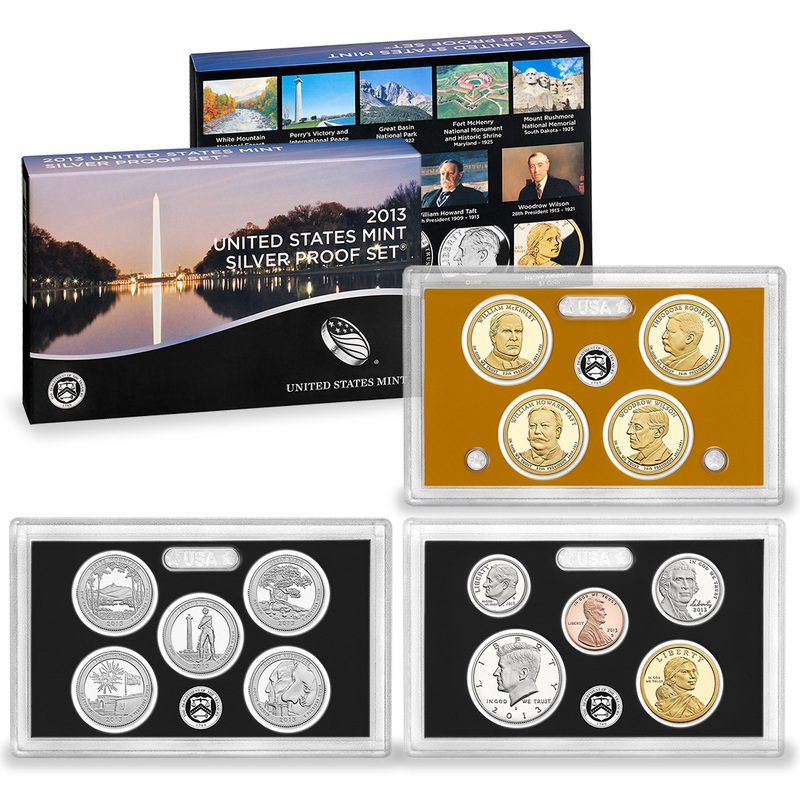 Beginning at Noon (Eastern) tomorrow, July 9, 2013, collectors will be able to order products containing the 27th release of the Presidential $1 Coin Program. 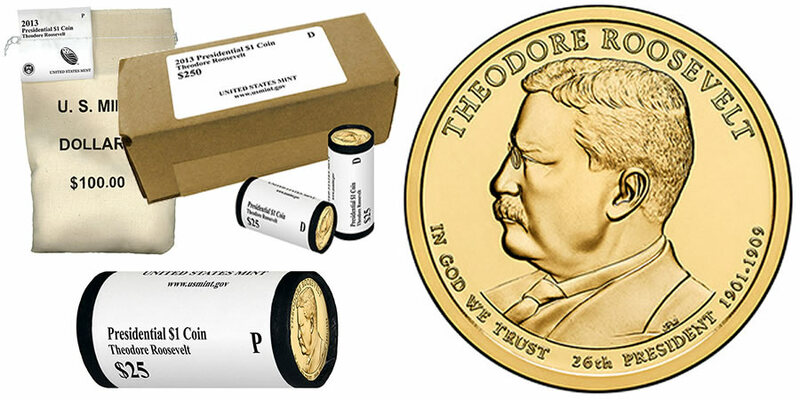 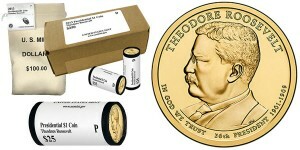 The 2013 William Howard Taft Presidential $1 Coin will be available directly from the United States Mint in rolls, bags and boxes. 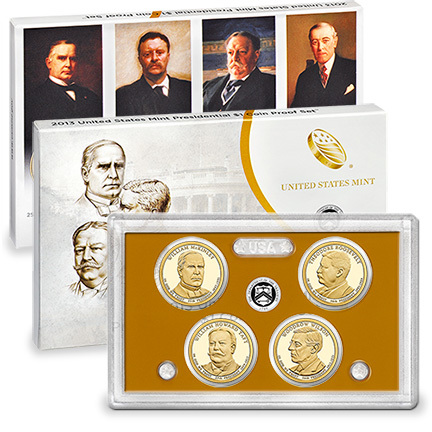 Today, May 2, 2013, at 12 noon (ET), the United States Mint will release one of its most popular annual numismatic products - the 2013 United States Mint Silver Proof Set®. The set is scheduled to be sold for $67.95, plus the US Mint's standard shipping and handling charge of $4.95 per order. 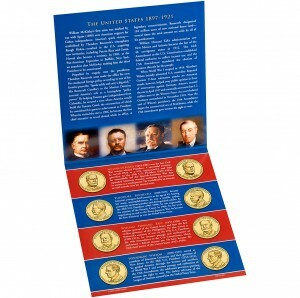 Available beginning at Noon (Eastern) today, March 7, 2013 is the 2013 Presidential $1 Coin Uncirculated Set™. The set contains two uncirculated quality examples each of the 2013-dated Presidential $1 Coins. 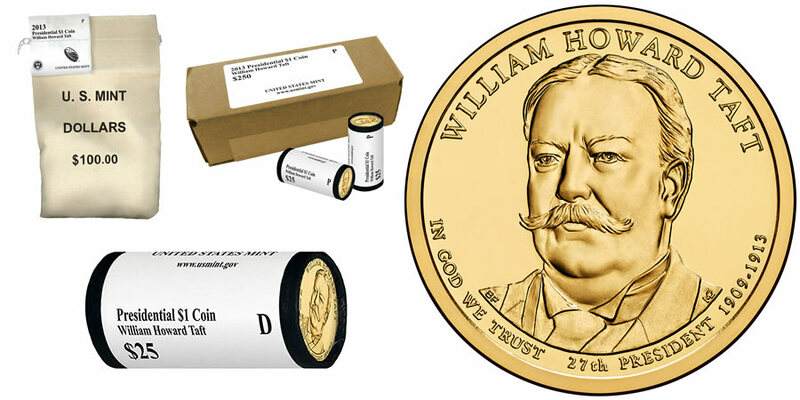 The United States Mint, tomorrow, February 19, 2013, will release rolls, bags and boxes of the 2013 William McKinley Presidential $1 Coin. 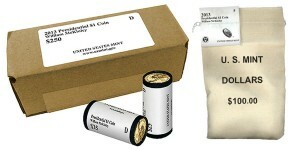 The new products will be available beginning at Noon (Eastern). Today, February 14, 2013, the United States Mint will release the 2013 United States Mint Presidential $1 Coin Proof Set™. 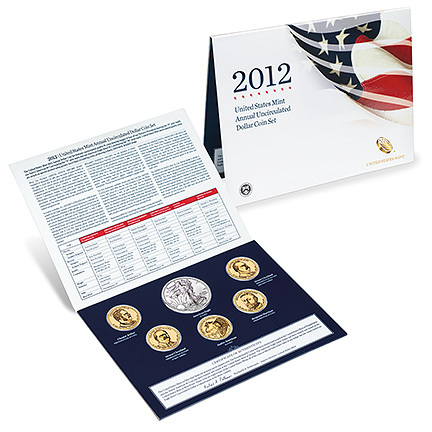 Found inside the set are proof quality examples of the four 2013-dated strikes of the Presidential $1 Coin Program. The United States Mint has unveiled the line-art images for the 2013 Presidential $1 Coins. 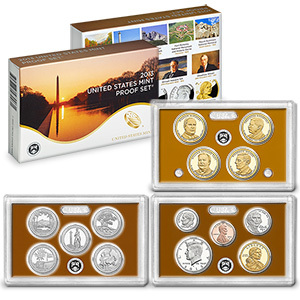 These four coins will be issued as the seventh year of releases for the Presidential $1 Coin Program which originally debuted from the US Mint back in 2007. 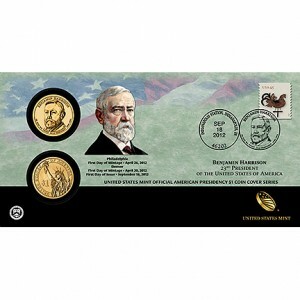 Beginning tomorrow, September 18, 2012, at Noon (Eastern), the United States Mint will start offering the 2012 Benjamin Harrison $1 Coin Cover for sale to the public. 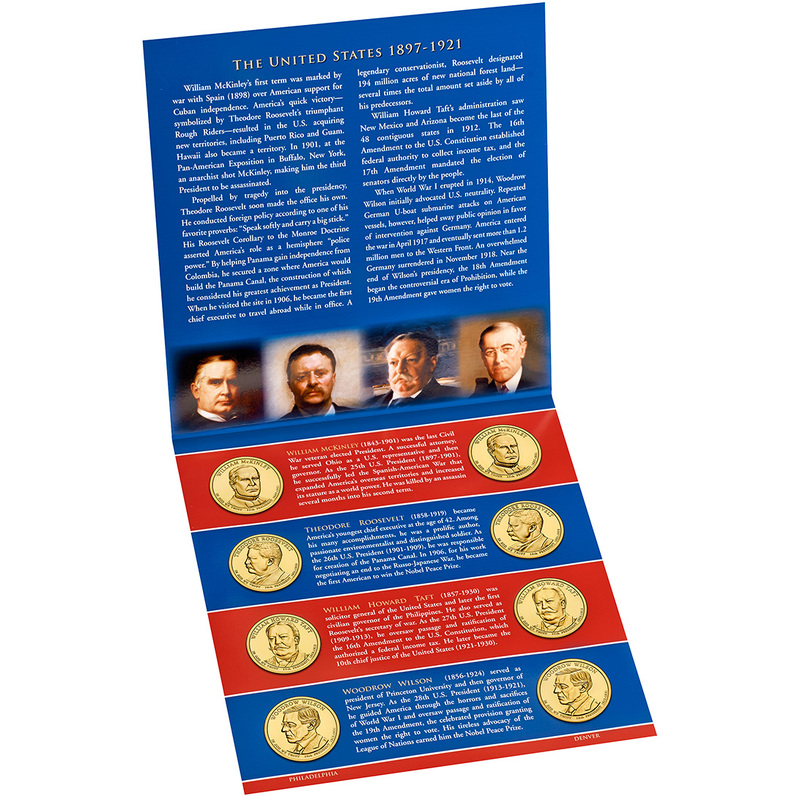 This release marks the twenty-third to appear in the Presidential $1 Coin Cover series which dates back to 2007 and the start of the Presidential $1 Coin program.